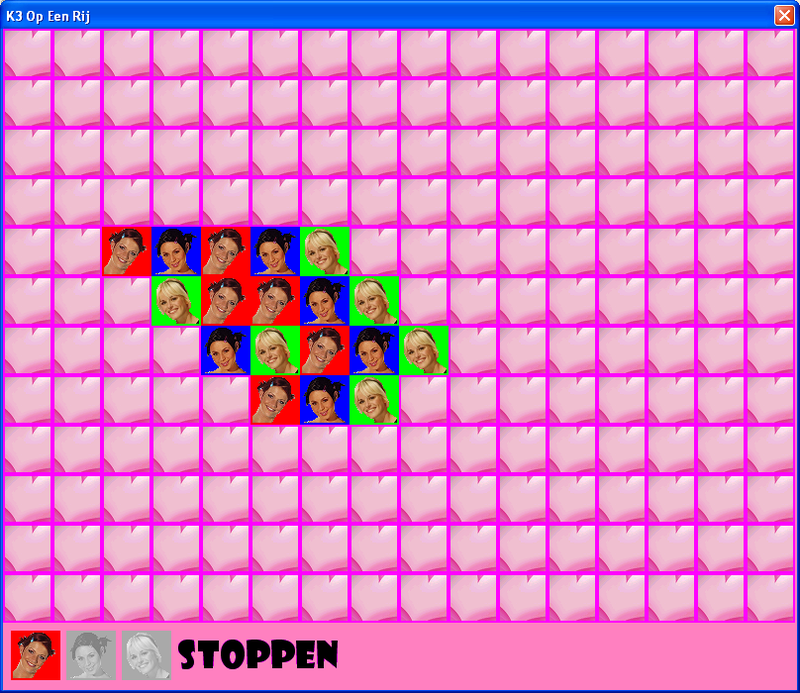 K3-Op-Een-Rij (VCL) is a game that is a tribute to the Flemisch girlyband K3. 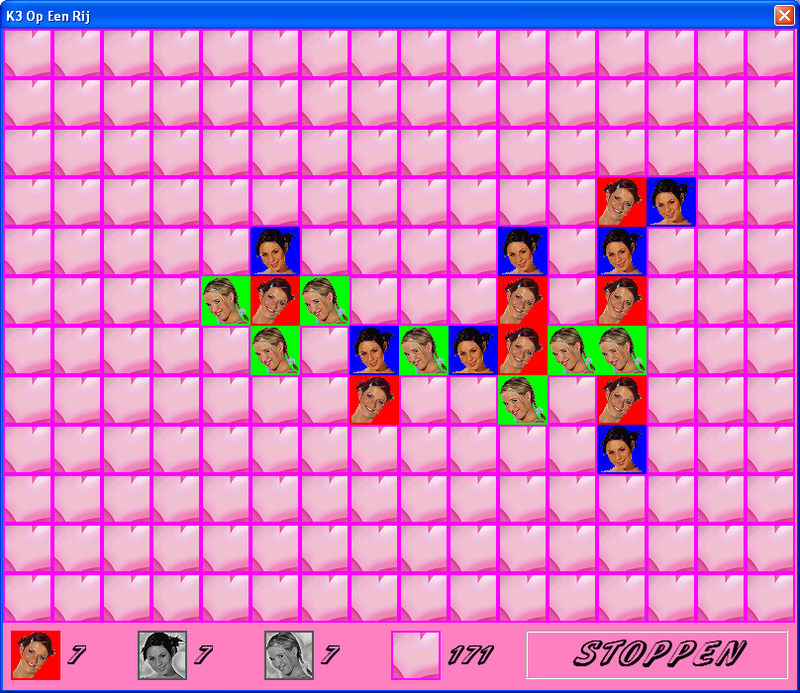 K3-Op-Een-Rij is a K3-themed connect-three game. It can be played by one, two or three players. The game is designed for this band's typical audience. K3-Op-Een-Rij (VCL) development stopped, because this Windows-only version is replaced by the cross-platform K3-Op-Een-Rij. The source code is hosted at the K3-Op-Een-Rij (VCL) GitHub.